Yelow Gold Wedding Ring Designer Pattern Contatto. 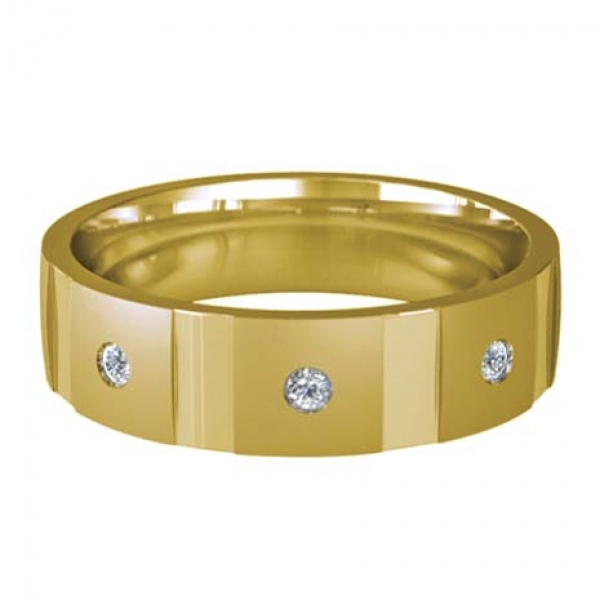 4 to 6mm wide Contatto Patterned Flat Court Diamond Wedding Ring. Brushed satin finish with four polished flat grooves, running across the front of the band, creating three high blocks, each set with a 2pt diamond.